The Avengers are back in the third volume of The Comic Strip Adaptations - out next month. 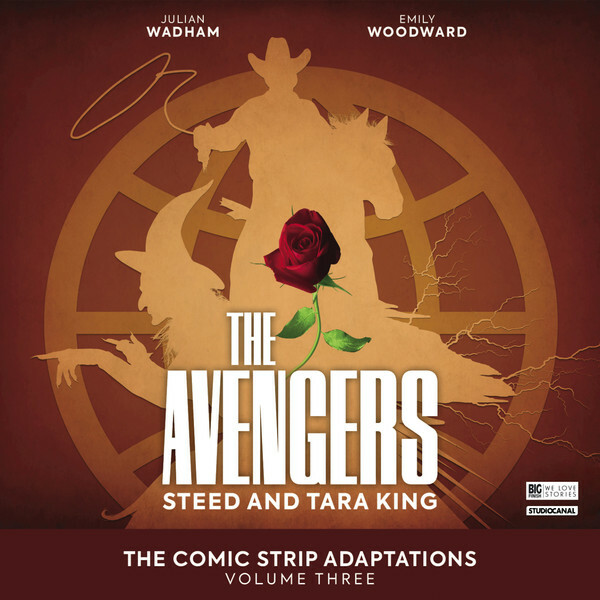 Based on the adventures of Steed (Julian Wadham) and Tara King (Emily Woodward) in the TV Comic Strips - here are more details on these latest Avengers adventures. Julian Wadham reprises his role as John Steed and Emily Woodward continues her role as Tara King from last year’s release The Avengers – Too Many Targets. In the first adventure, It’s a Wild, Wild, Wild, Wild, West, Christopher Benjamin returns as Mother, along with a stellar cast comprising Hywel Morgan (appearing recently in Survivors series 8), Daniel Easton and Karina Fernandez. Leighton Pugh, James Joyce (Captain Josh Carter in UNIT) and David Sibley join Avengerworld in Under the Weather. Edward Dede, Natalie Simpson and Jude Owusu get in the action in Spycraft, and Nicholas Asbury (who listeners will recognize from the recent The Diary of River Song Series 4) and Maggie Service tie off this box set in …Now You Don’t. The Avengers: The Comic Strip Adaptations Volume Three is available for pre-order at £30 for the CD box set or £25 on download. Or why not save money by ordering Volume Three in a bundle with Volumes Four and Five of The Comic Strip Adaptations. The Comic Strips Adaptations Volume Four with Steed and Emma Peel (played by Olivia Poulet) will be released in 2020, and The Comic Strips Adaptations Volume Five with Steed and Tara King will be released in 2021. This bundle is available for £87 on CD or £70 on download from Big Finish here.